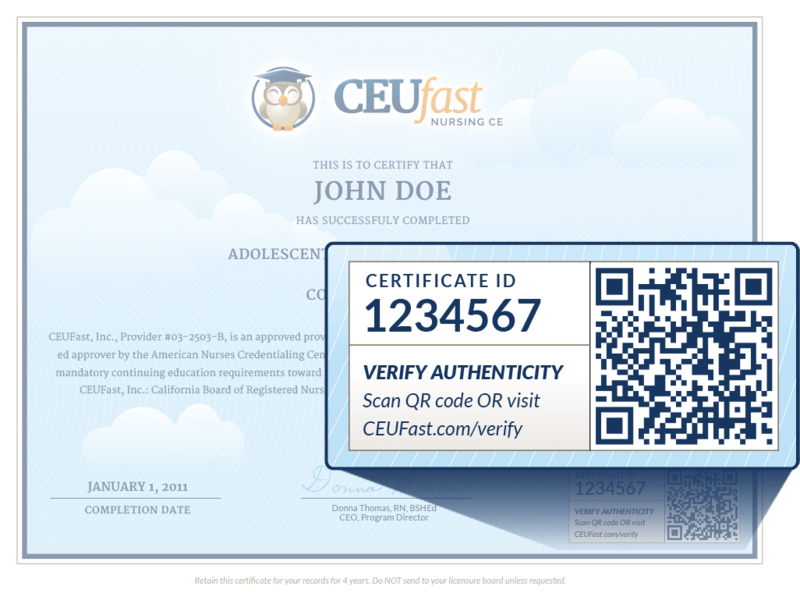 Near the bottom right of the most recent CEUFast, Inc. certificates you will find a certificate number. Enter the number in the field below and press the Validate button. You can also scan the certificate QR code with your smartphone.